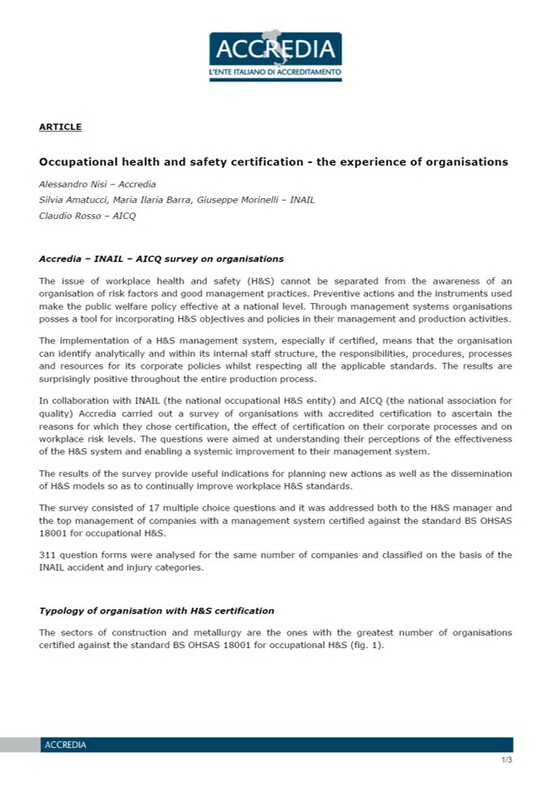 A study carried out by Accredia, the Italian Accreditation Body, INAIL, a public insurer, and AICQ, the Italian Quality Institute, has identified that companies with accredited certification of their health and safety management system (OHSAS 18001) provides businesses with a number of benefits. A total of large, medium and small 238 organisations responded to a survey. 98.4% stated an improvement in their Health & Safety performance in terms of injury and accidents, missed injuries, training hours, and the number of non-conformities handled.